We shared an excellent experience during the training of the European Erasmus+ project From Peer to Peer that took place in Leuven, Belgium from September 30th to October 8th of 2017. During those nine days organized by Melanie Van Oort, we exchanged, in a very effective and lively way, educational methodologies that focused on better education from the point of view of social inclusion, combating discrimination, segregation and bullying. The educational content for ECOLIVE is now available in Turkish language. The users of our e-learning platform can choose Turkish as an interface language and study the available content. She/he also has the option to download each course in pdf form and study the content with the use of a pad, viewing the material as an e-book or a flip book. After studying the content, each student can do a self-assessment by answering closed-ended questions. 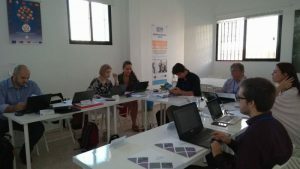 The 4th transnational meeting of ECOLIVE took place between the 9th and 10th of October in Western Greece, in Argostoli – the capital of the island of Kefalonia. ECOLIVE is an Erasmus+ Strategic Partnership for VET project which is implemented with the participation of 5 organisations from 4 countries (Turkey, Greece, Cyprus and Italy). It is a project aiming to train producers of olive oil and members of agricultural cooperatives in the production, certification and marketing of organic olive oil through the use of ICT based technologies. The training of our project took place in Leuven, Belgium from September 30th to October 8th of 2017. Our project aims to contribute to a better education from the point of view of social inclusion, combating discrimination, segregation and bullying. 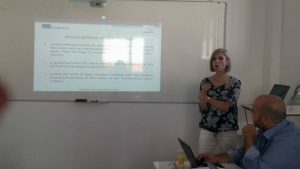 So, those nine days hosted by Melanie Van Oort from UC Leuven-Limburg, we exchanged educational methodologies that focused on those issues. 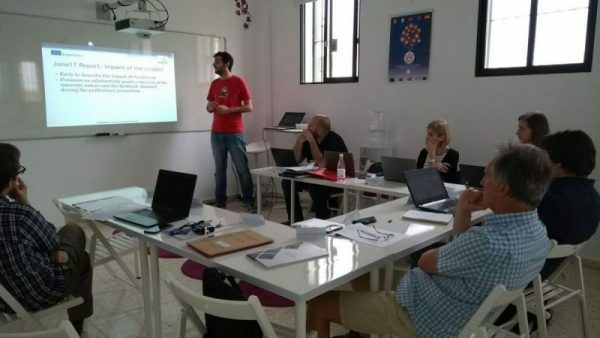 The second partners meeting of our project LAMOS EU took place in El Rompido, Spain, on the 26th and 27th of September 2017. 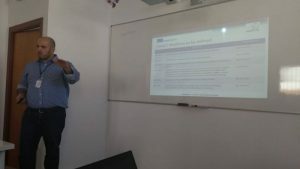 During the meeting, the partners discussed the project’s upcoming deliverables and relevant activities setting the timeframes for the development and completion of the project’s milestones. 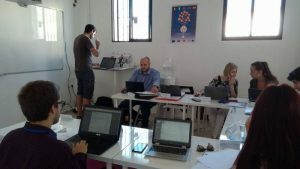 Action Synergy presented the results and valuable recommendations deriving from Research, since the development of the rest of the Outputs is directly related to the results of the Regional Research Analysis Report (RRAR). Furthermore, issues related to the promotion of the project and its implementation in each partner country were also discussed.